A television network is casting folks for an upcoming docu-series. Casting teams for the show are looking all across the United States for couples in which one person is still very tight with their ex. 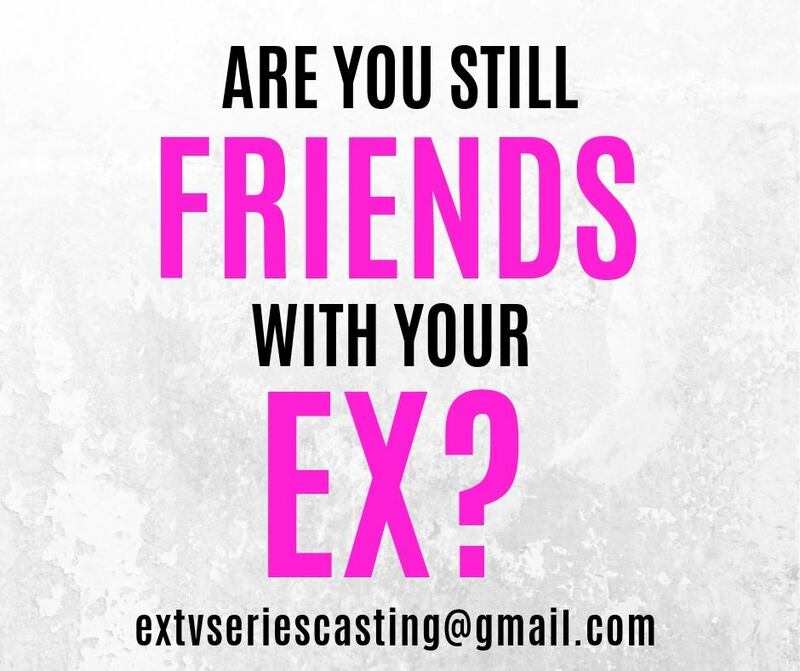 If that situation sounds like you, or even the person you are in a relationship with, the show’s casting directors would like to hear all about it. Are you (or your significant other) still close with your ex-girlfriend or boyfriend? Do you still spend time together, talk, visit and have an active role in each other’s lives? Does having a friendship with a former lover ever cause conflict or controversy in your current romantic relationship? Do family and friends ever find it bizarre or unusual that you are engaged AND still have close friendships/relationships with a past partner? Is your life still connected with an ex in any way that is unusual or non-traditional? NOTE: If you are you not yet engaged but in a serious and committed relationship and meet our criteria, please still apply! To apply, please email: Name/Age/Location (City & State) brief bio about your current relationship and relationship with your ex. Please include recent photos of both you and your current partner and photos of your previous partner.